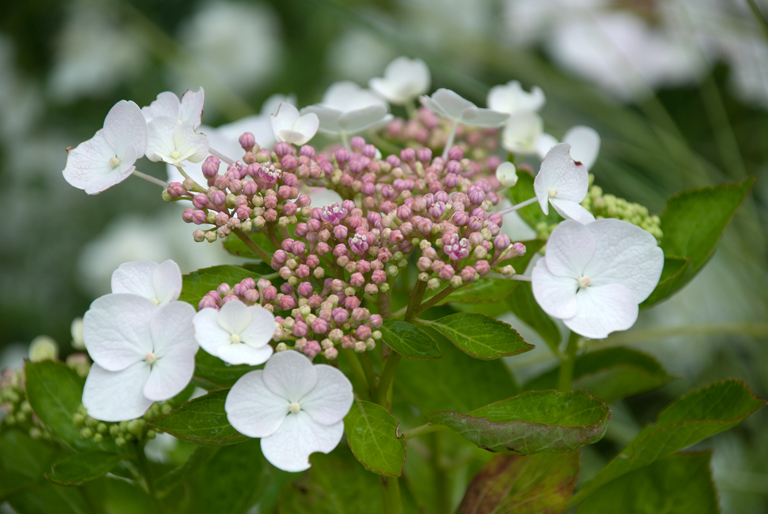 In this month’s Garden Flowers blog post which I write with Rona Wheeldon of Flowerona, we’re looking at a very popular garden plant, the hydrangea. Already starting to add colour to our gardens now, this beautiful cottage garden classic has several different forms. 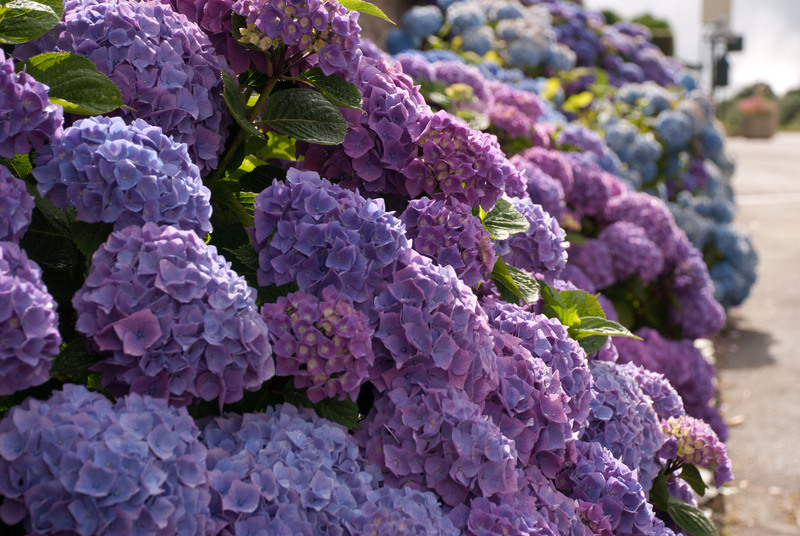 One of the most common types of hydrangea, it has a mophead of individual flowers. The colour of its blooms varies depending on the soil. Acid soils produce blue flowers and alkaline soils produce pinks and reds. White and green-flowered cultivars remain the same colour, regardless of the soil pH. Lacecaps are also popular. They have a ring of flowers around the edge and sterile florets in the centre. 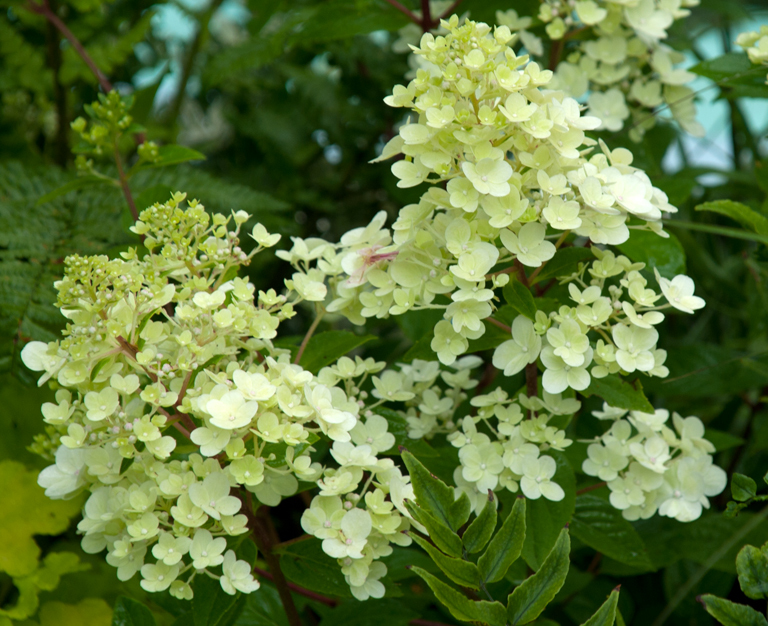 Another shrub variety of hydrangea is Hydrangea paniculata. Its name refers to the unique shape of the flower clusters, which are very broad at their base and rounded at the tip. 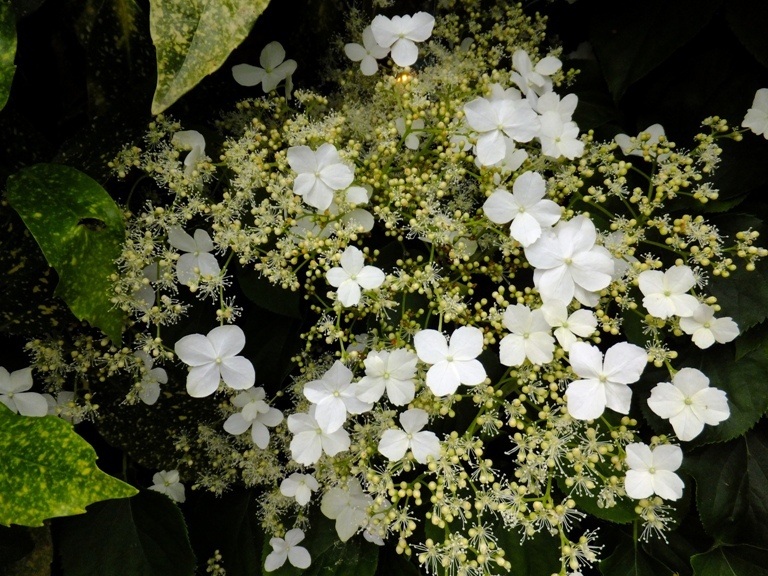 If you looking to cover a fence or wall in your garden, you may like to consider a climbing hydrangea called Hydrangea petiolaris. It has white lacecap-style flowers, which appear in late spring and early summer. It’s a brilliant climber for a shaded north facing wall where it generally flowers prolifically. Finally, there’s a hydrangea with leaves shaped like giant oak leaves and large cones of white flowers in late summer. It’s called Hydrangea quercifolia. As the leaves age they become a rich bronze colour which lasts well into the autumn. Hydrangeas are also very popular cut flowers. You’ll find the mophead variety, in particular, are in abundance in florist shops, garden centres and supermarkets. 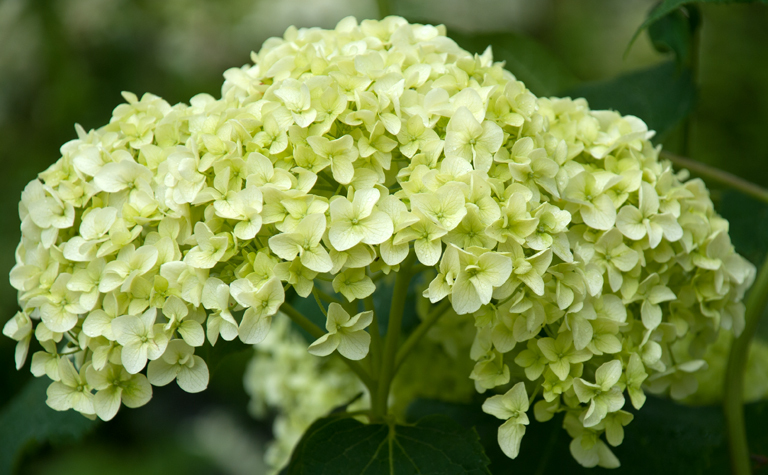 And Hydrangea paniculata ‘Limelight’ can also sometimes be found. 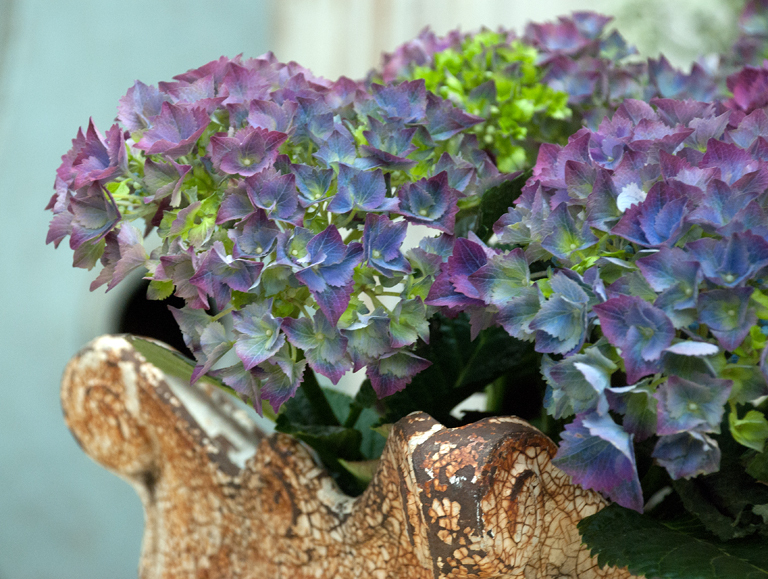 With a range of colours including blue, pink, green and white, Hydrangea macrophylla are also popular as a potted indoor plant. 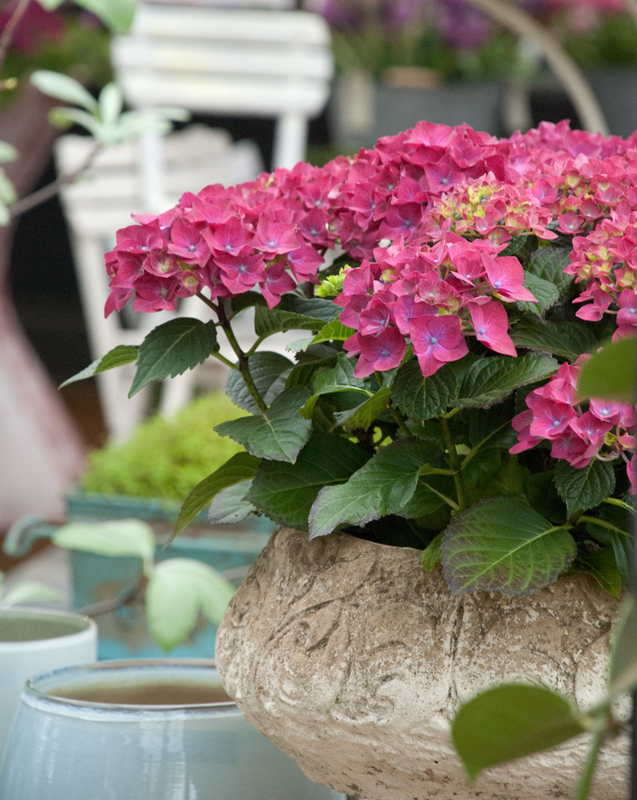 So with such a large variety of different forms of hydrangeas, there really is something for everyone. Why not pop down to your local garden centre this weekend and see what they have available?